•Florida Registered Landscape Architect •Degreed Landscape Architect •LEED Green Associate •Certified Pest Control Operator •Certified Irrigation Specialist See our website's "Buzz" page for a list of our awards. 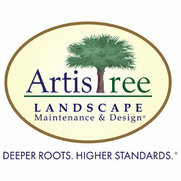 Thank you so much for taking time to review ArtisTree's work. Chris Culp and team enjoyed working with you throughout the entire process and appreciate the privilege of creating a beautiful, functional outdoor environment that meets your needs! The staff is very responsive and thoughtful. All of our needs were met and any problems that have come about after moving into our new home were immediately addressed without hesitation! We are very happy with this company! We appreciate you taking time to write this review! Joe and our entire crew thoroughly enjoyed working with you and are delighted that you were pleased with everything. Thank you for the privilege of serving you. 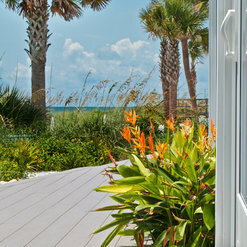 My husband and I had a wonderful experience working with our landscape designer Joe Mantkowski. His design and installation far exceeded our expectations. His attention to every detail was spot on. What we greatly appreciated was all the follow up and attention to all the details that go into a project of this proportion. The best experience we’ve ever had in landscape design! Thank you for your kind words and for the privilege of working with you. It's been a great project and we hope you'll enjoy your landscape for a long time to come! If I could actually get them to do anything, my review may have been better. It has been over a month since I had someone out to give us an estimate. After many calls and promises that we would have our estimate within 24 hours with nothing to show for it, we are going with another company. They say they have a 24 hour call back rule, but even the supervisor has taken longer than that to call me back, even after knowing our issues getting an estimate. I find this company unprofessional and extremely unorganized. Their work may be great, but you should be ready to have the patience of ten saints if you are going to work with them. Obviously, our apologies are not enough as this is the third site that you've registered your complaint on. No business is perfect. As we already told you, this one slipped through the cracks. We hope you will be pleased with the landscaper you selected. As it stands, we are quite proud of our numerous 5-star reviews. 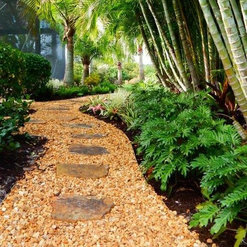 ArtisTree Landscape Maintenance & Design has worked with and helped many of my clients when they're looking for the landscape design that enhances not only their custom home "look", but equally as important, the "feel". From the design stage through the installation, they are professional and reliable. I have no hesitation in recommending them! The professionals at ArtisTree are truly amazing. 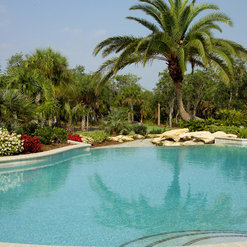 We have them work with all of our homeowners for their landscaping needs. If you come in with an idea of what you want or would rather get their experience to design it for you they help put together designs that our buyers adore. We strongly recommend ArtisTree! 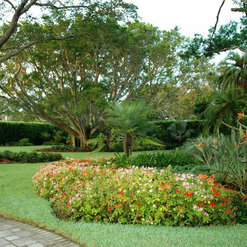 The Lee Wetherington Homes Team have worked with Artistry Landscape Maintenance & Design for many years. Our clients are very particular and expect a high level of service as well as professionalism and quality. When we introduce our clients to Artistry, we know they are going to feel comfortable with the design process for the landscaping. They are reminded of the professionalism when the project is complete and they view the landscape design on display around their new home. Having used Artistree for many of our models and client homes, I can personally attest that their landscape plans complement the design of the homes we build. They thoughtfully marry landscape to architecture and bring our clients' landscape vision to life, all the while being considerate of their budgets and deliver a quality product using the best plant material available. Professionalism, knowledge and quality of the design all the way to the installation are top in the industry. Always work to the budget all the while allowing the customers personal touch and desire to be be achieved. I live in a maintenance-free neighborhood that is contracted by Aristree. Mark and his crew have done a great job. They have never missed a weekly cut despite the heavy rain storms. The yard, bushes, trees and landscape continues to look great with the weekly service. The crews are always courteous to myself and the neighbors. They will stop blowing or weed whacking if we walk by while they are working. Any issues I have I can send an email or quick phone and will recieve a quick response with options for resolution. As a bonus, I have time to play golf or go to the beach on my days off! We have worked with Artistree on many projects and find their ability and professionalism to be of the highest level. I would recommend them for new construction projects, and often do! Commented: what is the name of the red flowers?They are red begonias. 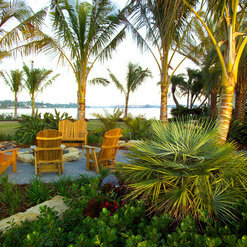 Commented: Palm treesYes, they are Florida Fancy foxtail palms. Commented: What variety of palm are the two shorter palms in the middle?Those are wild date palms. Not all trees are created equal, so they can vary.